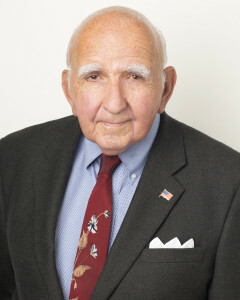 Known throughout his career as “lowercase bob”, Mr. wallach was inducted into the Trial Lawyer Hall of Fame in 2006 by the Litigation Section of the State Bar of California, an honor bestowed on only 26 attorneys. Mr. wallach was the president of the Bar Association of San Francisco and served as a special consultant to the Select Committee on Trial Court Delay. Mr. wallach has received two presidential appointments, first to the U.S. Advisory Commission on Public Diplomacy, and in 1986 he was named Ambassador to the United Nations Human Rights Commission. He is also a published author, penning two books, California Tort Guide and Select Problems in Torts, as well as 100 articles on trial advocacy. After being named valedictorian of his graduating class at UC Berkeley School of Law, Mr. wallach began his career as an associate at Walkup & Downing (the firm later became Walkup, Downing, Wallach & Sterns). He remained with the firm until he began his private practice in 1971. In his 53-year career as a litigator specializing in personal injury cases, Mr. wallach has tried 283 cases to verdict with only 14 losses. In addition to his impressive trial record, Mr. wallach has left a permanent impact on the way attorneys handle personal injury claims. It was Mr. wallach who pioneered the use of Day in the Life videos. He also won the first million dollar verdict for a medical malpractice claim in California when he represented a young mother who suffered brain damage during the birth of her first child. Mr. wallach still holds some of the highest verdicts in the state of California. Mr. wallach continues to be an active trial attorney; from 2012 to 2013, he spent 134 days in trial, handling three successful jury trials. Mr. wallach has handled a variety of litigation aside from personal injury; he has experience in real estate law, civil litigation, and white-collar criminal defense. While Mr. wallach has represented large companies such as Sharper Image and worked on complex corporate deals, such as the Fang family’s purchase of the San Francisco Examiner from the Hearst Corporation, he has also been a champion of the underdog. When five girl scouts were burned in a horrific car accident, it was Mr. wallach’s tireless advocacy that led to California’s adoption of a policy to install median barriers on highways throughout the state. Throughout his prolific career, Mr. wallach has also managed to find the time to teach new generations of attorneys. He was a professor, dean, and co-founder of the Hastings College of the Law Center for Trial and Appellate Advocacy. He has also taught at the University of San Francisco School of Law, Golden Gate University, and the National Institute for Trial Advocacy Training. Mr. wallach is married to his wife, Glenda. They have five daughters, eleven grandchildren, and four great-grandchildren. He enjoys an active lifestyle, but his hobbies are his children, grandchildren, and great-grandchildren, as well as mentoring lawyers in trial advocacy. He is licensed to practice in all state courts of California, all districts of the Federal Court in California, the United States Supreme Court, the Federal District Court (DC), and the Ninth Circuit Federal Court of Appeals.